Here is a quality 10 foot by 10 foot canopy that is affordable. It protects you and people from the rain and sun. It features an assembly free one-piece frame, but still cost less than other aluminum frame canopies. 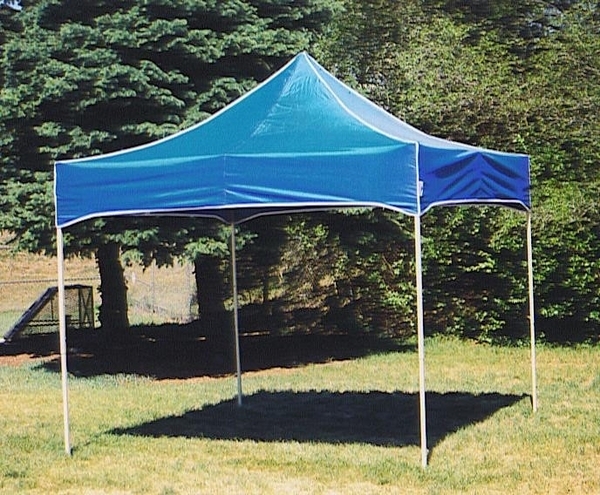 This portable temporary shade canopy has a polyester canopy top that is water resistant, fire retardant and UV protected. The frame will not rust and is surprisingly strong considering its lightweight. The canopy carries a one-year warranty. Peak Height: 9' - 10'10"